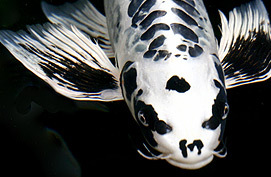 We believe that we produce the healthiest, highest quality Koi, Butterfly Koi and Goldfish in the United States, and we’re ready to prove it to you. From Quality, Selection and Service, to Health and Bio-Security, there are many reasons why you should choose Blue Ridge Fish Hatchery as your supplier of Koi and Goldfish. We go to great lengths to offer you the best and most beautiful fish in the industry, and it is all backed by our 30 Day No Questions Asked Guarantee.